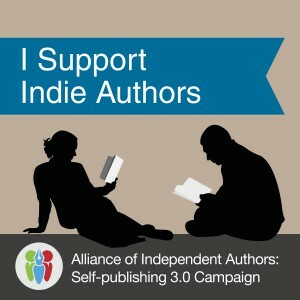 The author’s work will be specific to Accept, Reject, and Comment buttons. Your editor has spent a lot of time creating suggestions (insertions or deletions) that polish your written word so it is clear and concise while preserving your creative voice. Using the tools properly and communicating with your editor will ensure the resulting work is the best it can be. 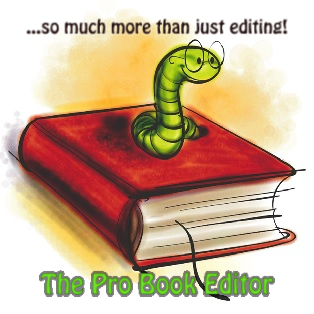 Editing is a collaborative process and these tools enable you to collaborate, efficiently and effectively, if used properly. There are different versions of Word on the market and sometimes you and your editor may not be using the same version. That’s okay. Your editor will know what to do. This guide is based on Microsoft 1997-2003. If you have a different version and any of these images don’t quite match, tell your editor and they can help you find images that are specific to your version. 3.Always turn this feature on when you first open the document. 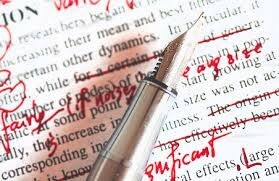 Your editor works the material by going over it repeatedly but looking at different things each time. If you add/delete content during the process and want to be sure they realize a change has been made, they need this flag. An editor will always Accept any insertion or deletion from the author and then make suggestions as needed for the change. This simply makes sure they see that it is new, added, or deleted during the process, and needs to be reviewed. 4.Next, the settings that are important to viewing revisions…. The first drop down box is settings to show all or limit the suggestions in the document. You can view a document with 8240 suggestions as No Markup and it will read as if you accepted everything that was suggested. View it with the different options to understand this setting, but always work in All Markup so you are sure to consider all suggestions and then clear them. All Markup is the only setting that shows all suggestions and comments for you to work through and clear them. Toggling between the two views can be helpful in sorting out what the result of 3 inline suggestions will be. One change to a sentence can be comprised of multiple suggestions and more often than not, two or three clicks of the Accept button will be needed. This is what your MS would resemble with suggestions recorded in Track Changes. Notice strike-throughs, underlines, comments indicated by highlighting, and the revisions bar on the side. Click on Accept or Reject to clear each suggestion from the editor. When you send a document “pass” back to the editor for the next steps, it should only have any suggestions that you created and all of the comments still in place. All suggestions from the editor’s last pass should have been accepted or rejected and thus cleared from the document. •When you accept a string of words with a red line through them, you are agreeing and applying the change that those words are deleted. •If you don’t agree to delete them, simply click reject and they will remain. Keep in mind, a deletion was for a reason. When you reject, do a comment that flags the problem and tells the editor what you’d prefer. •If you accept a string of words with a line under them, you are adding the new words to the document. •If you reject a string of words with a line under them, you are saying that you do not want them added to the document. •Suggestions, insertions, and deletions are made for a reason. Any time you reject a suggestion, make a New Comment to discuss it with the editor so they can make a different suggestion and address the problem they found in a way that suits your preferences. Comments are a way to have dialogue while indicating the specific content it relates to. •You can add a new comment by selecting the text you wish it to be connected to and clicking the New Comment button. Then just type your note. •You can click inside an existing comment and type your note. This is especially effective if the editor’s note is a question, just type the answer right after the question in the existing comment. Responding to the editor’s comments helps them get the answers they need to work the material while preserving your voice, writing style, fantasy elements of the story, etc. and keeps problem areas noticed until a suggestion can be provided that you agree with. •Never delete a comment. Editors use these as flags while they work and will delete them when they are done with them. •Always respond to any questions, add your thoughts to any notes, etc. Use these like a chat window to help your editor do the best job possible for you. You can focus on comments by using the Previous and Next buttons to scroll through them or work them as they come up in between suggestions. The Reviewing Pane shows a list of suggestions and comments in order as they were created and allows you to click on them to navigate directly to them in the document. When you File>Save as, you should update the owner and the date accordingly. During the process, you would only change the owner’s initials and the date. Your editor will manage document controls on their end and through using naming conventions and tracking the most recent versions on each section, they can ensure that the completed MS is reassembled properly at the end. By both parties using the tools with the same methods and understanding, the work can be focused on editing and proofreading tasks and effective in what it accomplishes to make your manuscript clear and concise and error free. As an author, the primary tool of your trade is Word and understanding how to use all of its features will help you be a more professional writer. Thanks for the guide. It is very helpful. Very helpful! I am looking forward to the journey. I have used Track Changes in the past but there are a couple of wee details I haven’t used and this guide has cleared this up for me. Very helpful.